A learning module. 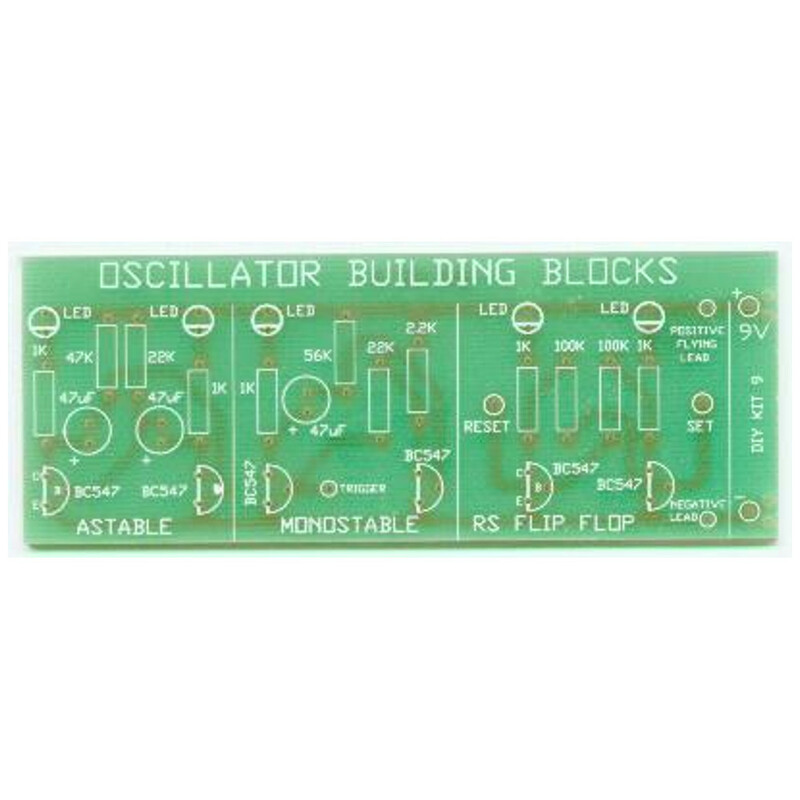 Build and experiment with the Astable, Monostable and RS flip-flop Multivibrators on the one PCB. 6 LEDs & 9V battery powered. See and understand exactly how each works. 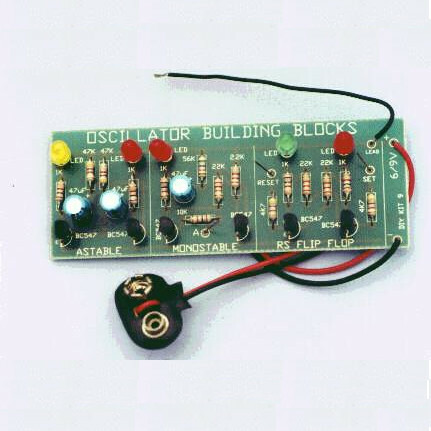 Good introduction to electronics.